Finally had some descent swell arrive at our shores today. It’s been a while since there’s been much descent swell so lots of people have to be putting a good few hours in. For me it was a day filled with work, and a quick session in the high tide constantine shoredump! 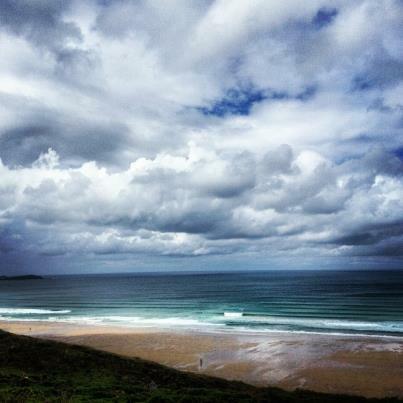 Here’s a little shot of my view from work at Watergate Bay today…..